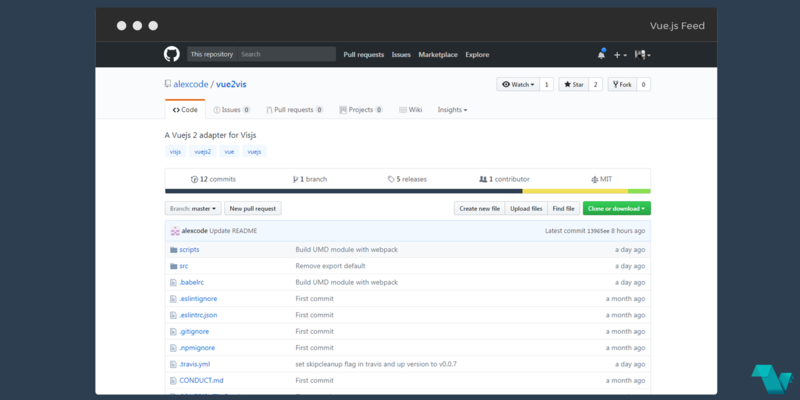 A Vuejs adapter for the Visjs browser based visualization library. It is a library designed to be easy to use, handle large amounts of dynamic data, and to enable manipulation of and interaction with the data. The library consists of the components DataSet, Timeline, Network, Graph2d and Graph3d. Here is another basic working demo with item generation: JS Fiddle Basic Demo. The project is hosted on GitHub under an MIT license.